Jessica initially came to yoga as a follower of another trend; however, ended up uncovering something so much more valuable than that - the incredible power of being present now and how stilling the mind can provide clarity as we move through our experiences. 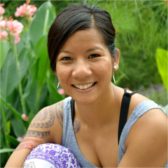 Now as an experienced 200-hour yoga instructor and a certified acro instructor, she attempts to bring yogic philosophies to energetic classes while guiding students to maintain a certain lightness in their practices. She teaches with an enthusiastic optimism and finds that her teaching, her own practice, all evolve from a constant learning from her very own students. Her current fascination is the consistency of the breath in addition to the amazing power of moving slow, both of which is strongly conveyed in each class, so be prepared to find your inner peace. 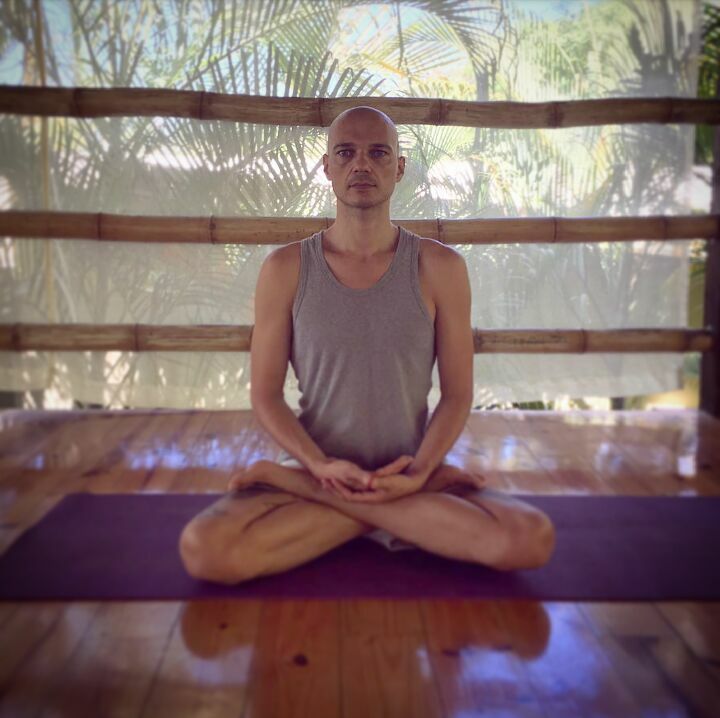 Christophe is a passionate ashtanga practitioner and teacher. Devoted to the traditional method, he trained in India over the course of 5 years, gaining knowledge in Asana (postures) Pranayama (energy work) and meditation. During his class he attempts to humbly deliver yoga as he sees it, as a science of the mind, "a philosophy that brings us to accept completely our body, an art who frees us from our material conditioning." We call him Rocky and he has over 3 years teaching experience for surfing in and around Cabuya. Rocky is also known as a pro tree climber and has been spotted cracking open coconuts with his elbow! Of course, that's where the name Rocky comes from. He is a champion boxer, kick boxer and mixed martial artist. Rocky can also protect you in the water. He's certified for CPR by the American Heart Association. Randy is both our resident chef extraordinaire and full time prankster. With a smile that won't quit, Randy will whip you up dishes and keep you in stitches. Randy cooks with love and the results speak for themselves. It's rare someone leaves here not wanting to take Randy back home with them. But too bad for them and good for you/us, he's not going anywhere. Eric is the other utility player on our team. When it comes to fixing/building things there is NOTHING this guy can’t do. Eric was our main Contractor since we bought our property and he’s continually working on new additions and/or improvements. Whether it’s a building a new bridge to get to the waterfall a short 15 minute walk away, or heading up the design on a new tree house, Eric is the man to get the job done. Rarely seen without a smile on his face, Eric will go about his business and the results are usually spectacular. Mery is our resident housekeeper. With a wry smile and a mischievous laugh, Mary is always up for some playful banter. But you have to speak Spanish to find out what this wise one is thinking. Mery mostly goes about her business with a quiet efficiency that is much appreciated. She’s here to keep your beds made, your towels fresh and your soap dispensers full. She can also cook a mean gallo pinto. Dennis is our silent assassin, but don’t worry, it’s nothing but the Handyman game that he’s killing. Dennis is not only our handyman but our gardner, our plumber, our pool guy, our electrician, our landscaper and I think you get the point. If anything ever goes wrong, Dennis is there to make sure that it’s quickly made right. Dennis is happy to chat you up, if you speak Spanish. Otherwise, like a jaguar in the night, you’ll hardly even know he’s there until he’s work is complete. Marc Levine is both the Co-owner and resident tour guide. Marc cut his chops leading tours through both the United States and Africa. Marc is both an avid traveler (51 countries and counting), as well as aspiring photographer. Marc also loves people and is here to make sure everyone is happy and having the best time possible. And he's pretty darn good at it if he does say so himself, which he does, because he's writing this :). Marc will do his best to make sure that no time in your day goes wasted (unless that's what you want) so you can squeeze every ounce of goodness out of your time spent with us at WSJR.